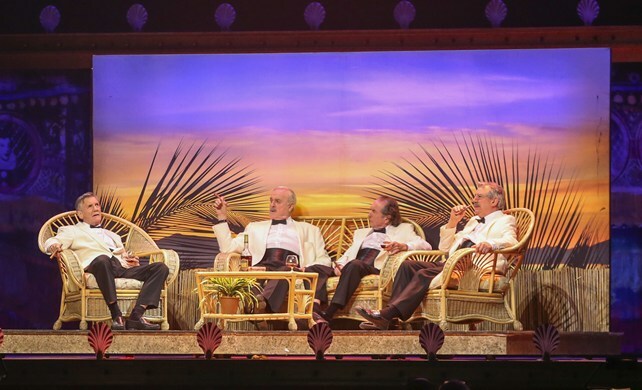 We went to see Monty Python Live at the O2 at the weekend and it was brilliant fun. Two hours of nostalgia! They all looked their age but with the exception of one sketch they all went smoothly. Unfortunately they opened with the Four Yorkshiremen (tweaked to reference their past) and half of them lost the plot half-way through. But the audience was ‘on-side’ to say the least and when it all collapsed in disarray everyone was cheering! The rest of the show was pretty smooth, and the atmosphere of seeing the classic skits with 20,000 singing, laughing nostalgics was brilliant. The new segues and links were great, the mild jibes between the Pythons were funny (two old ladies falling asleep discussing Michael Palin’s TV shows; two judges bitching over John Cleese divorces) and it had the ultimate finish; a standing ovation followed by sing-along to “Always Look On the Bright Side of Life”. There were some slightly uncomfortable “those jokes could probably only be acceptable in the 70’s” moments and it was a massive mistake not sell fake-beards in the merchandise stalls but overall it was a fantastic night.